Oh wow! This is impressive! The Internet has done some digging and discovered a gem of a time capsule dating back to the days before Internet 2.0. 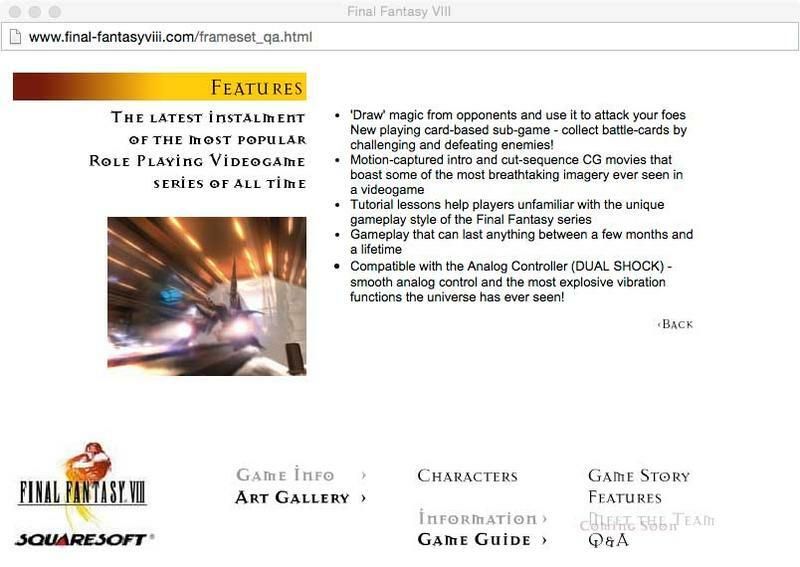 Back in the dark days of dial-up modems, back before Y2K became a phenomenon and Will Smith was a rap star, a time known as “1999.” What can we expect to find in this time capsule of awful website design? 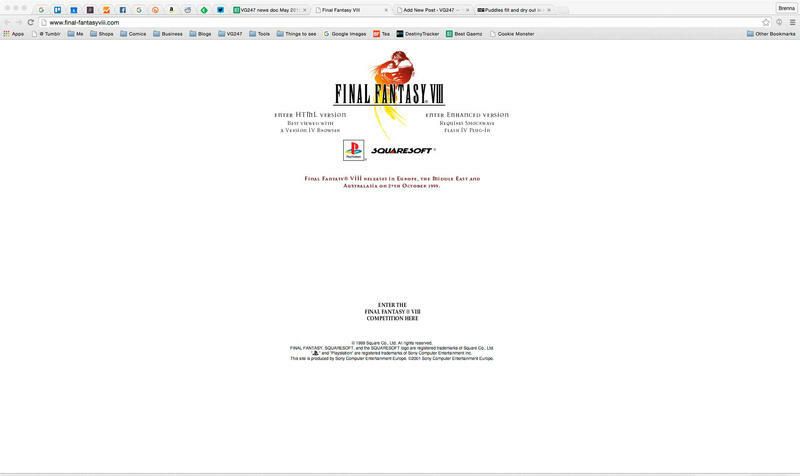 Well, it’s Squaresoft Europe’s original promotional website for Final Fantasy VIII! It’s still sitting there, running in unfathomably low resolution and requiring a Flash IV plugin for the “Enhanced Version.” How quaint. Give yourself a gander and soak in the awful design of the olden days web. Roll your cursor over the characters’ faces to bring up different options an paths to different sections of the site. Both the flash and HTML versions are special in their own ways. 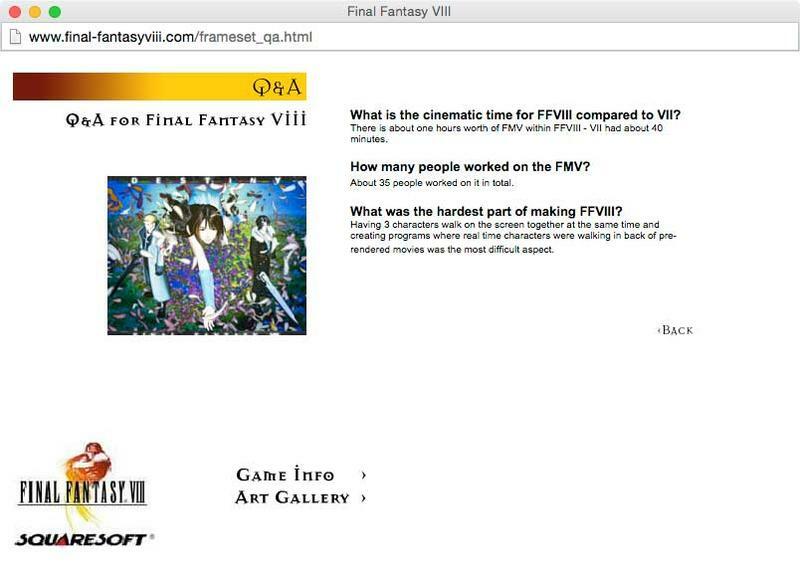 And don’t worry about the Final Fantasy VIII competition at the bottom of the front page either. I already checked, and it has ended. Isn’t it amazing how far we’ve come over the last fifteen years? 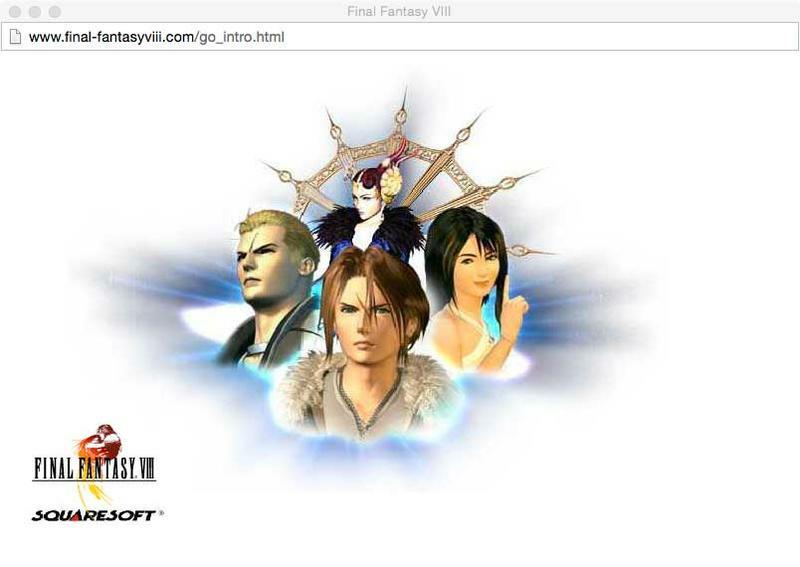 I think it’s equally amazing that Final Fantasy VIII can bring back a ping of happy nostalgia. Boy, I hated that game. So much.